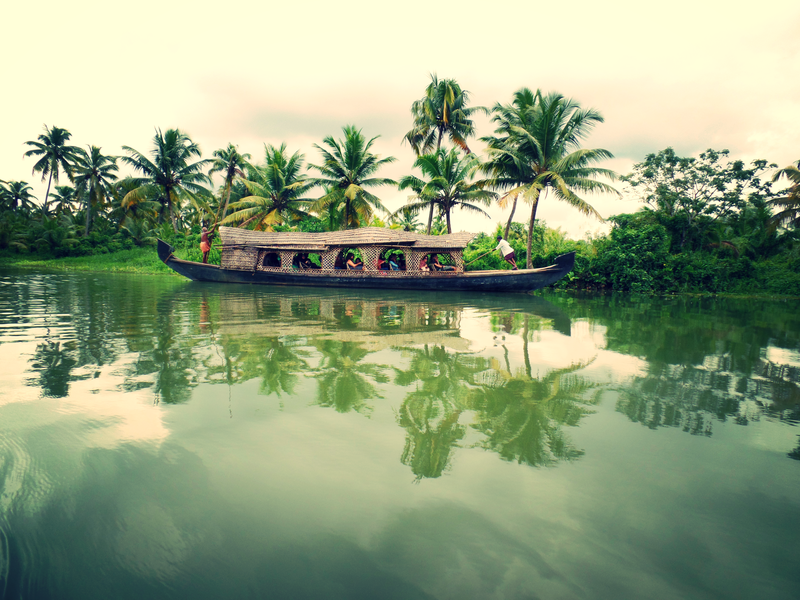 Known as God’s Land, Kerala is made up of rice paddies, spice plantations and beautiful backwaters. The high season for Kerala is November – March. I don’t think I gave Kerala my full attention. I’d previously been so excited to visit this tropical Southern Indian place. We’d planned on staying there for 7 days however, due to Diwali we decided to cut it short and take a train to Hampi after 3 days. I think I shall have to go back another day…..for longer. We arrived from Mumbai on a two hour flight landing into Kerala in the pouring rain. It didn’t stop raining till the following morning, needless to say I wasn’t too happy about leaving the dry heat of Rajasthan and my friends. 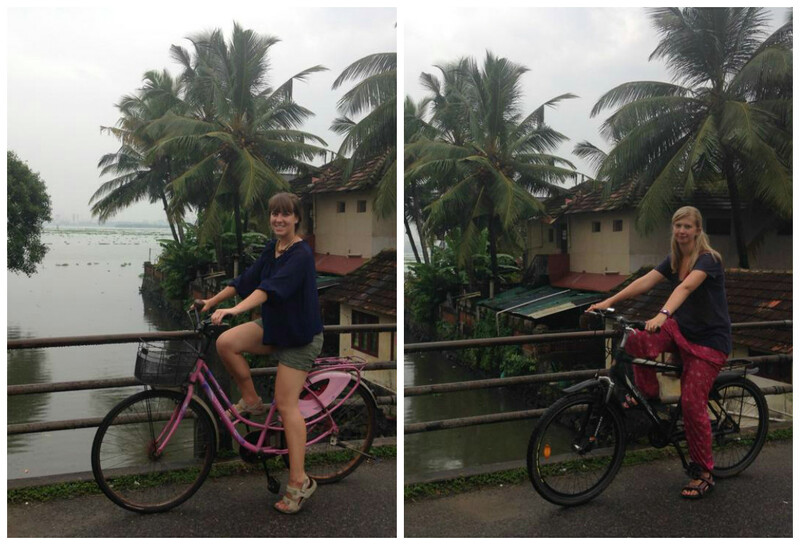 We took a long bus from the airport to the hostel in Fort Cochin (note. do not sit with luggage on side facing seats). Vedanta – Wake Up Hostel 1250 rupees per night. We stayed here for 2 nights in a medium priced room. We’d planned on a dorm (our first in India) yet after over two months already in a private room we opted for the next floor up… There is a communal area next to the reception which we found great to meet other travellers. The food was rather tasteless yet, we found it’s always better to eat outside of your guesthouse. 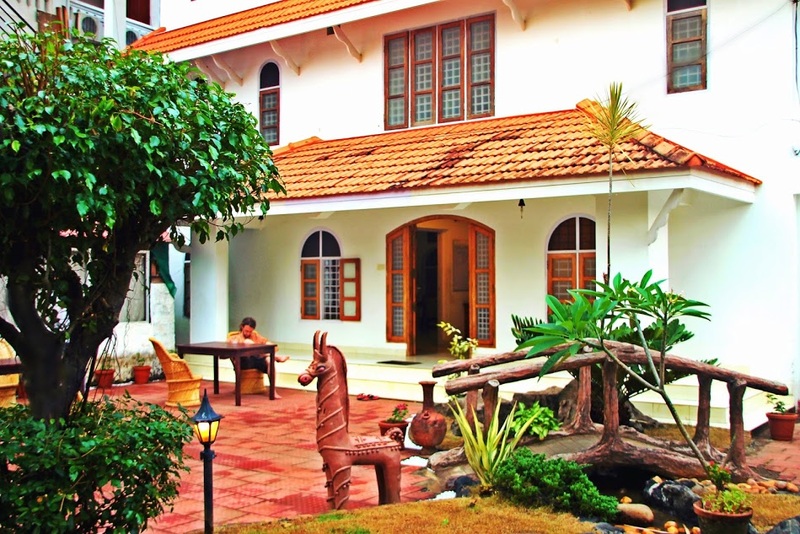 Save – Oys is a basic backpackers guesthouse with a little cafe on the ground floor, prices from 500 rupees. Mid – Close to the beach is Spencer Home a historic Portuguese era building. Rooms open out onto a well kept garden including AC/Non-AC. Prices from 1500 rupees. Splurge – If you are looking to splurge then another place to stay in Fort Kochi is Tea Bungalow, a beautifully restored home run by the Dempo family. Prices start from 7000 rupees. 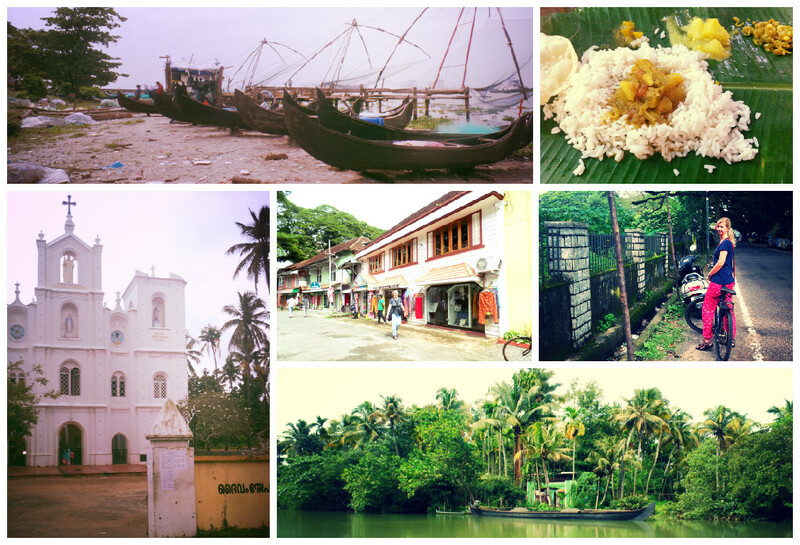 Kerala is famous for its special dishes, spices and for its abundance of coconuts. 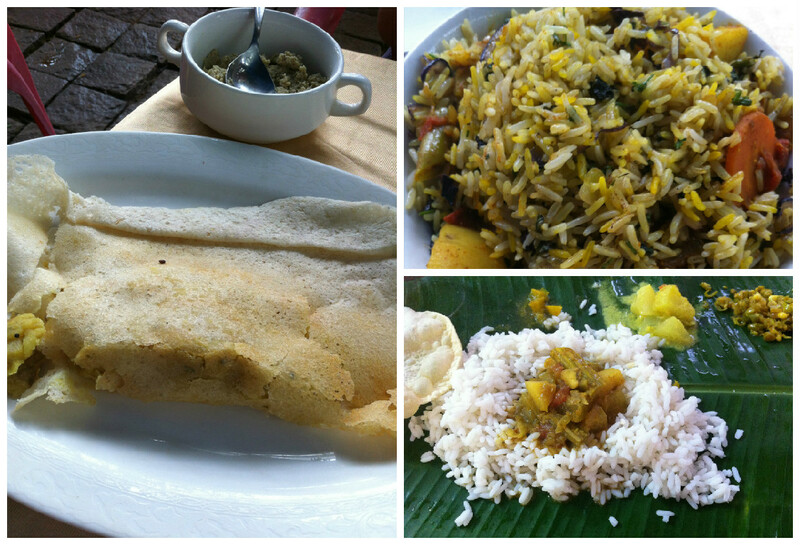 Fish curry is one of its most well known dishes as is having your food served to you on a banana leaf. We visited Teapot, a nice two storey tearoom decorated with teapots from around the world. We took our monsoon drenched selves for some nice homemade cake and tea. We visited in the evening for a spicy vegetarian curry with newly made friends. I’d say this was one of our highlights, cycling around the town. It took a while to find the actual bikes but after much looking we finally found two. Fran kindly let me have the pink one! We cycled to the Jewish quarter hoping to visit the Pardesi Synagogue but it was closed. We also visited the famous Chinese fishing nets yet upon arrival I found them rather ugly to look at and a complete mess! Now this is something you have to do when visiting Kerala. Since we cut our time short we booked a one day trip on the backwaters. We joined up with two Indian tourists from Mumbai and were picked up from our guesthouse and dropped off at the dock. Our guide was very helpful and allowed us to keep up luggage safe in the car whilst we were on the water. I’d say the tour was okay, we got to watch a woman making rope and smell some spices. One of my favourite parts was buying a coconut from some locals, just be careful which part falls on the ground… We ate lunch in someones home sitting at a table with our food served on banana leaves. It wasn’t the most exciting of tours and we spent a lot of time reading, playing cards and trying not to fall asleep. Bus – North of Ernakulam Junction is the KSRTC Central bus stand. Destinations include: Alleppey, Kottayam, Calicut, Munnar and Thiruvananthapuram. Reblogged this on Thomas N Salzano. Reblogged this on Perry Patel.